HOTS will again be run under the new BROE2/PRI rules. We will not be accepting entries outside BROE2. Things will work very much the same as in previous years in that we will be dividing crews into similar standards and making sure that everyone gets great racing! For the first time in 2019 we will be offering senior small boats in division 2. 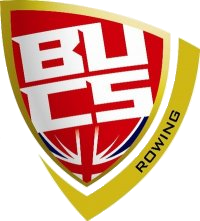 Should we move to Gloucester, entries into the small boats will be given the opportunity to select a division in which to race. Times will be compared across the divisions. We are offering a huge range of events at the Head of the Severn using the new BR competition framework(the Personal Ranking Index (PRI) system. We are happy to run events that are not offered below, please contact us and ask - however, the chances of good competition are slim if we add crews in late.